Leading PR and Rating firm, Avance Media has opened public nominations for the 4th edition of the annual prestigious ranking of young people in Ghana dubbed 50 Most Influential Young Ghanaians. The ranking which was first published in 2015 has seen young achievers such as Journalist Anas Aremeyaw Anas (2015 and 2016) and Lawyer Kow Esumman (2017), being voted the most influential young Ghanaians in their respective years. Nominations which cut across 10 distinct categories can be submitted via gh.avancemedia.org. Categories include Business, Entertainment, Law & Governance, Lifestyle, Media, Personal Development & Academia, Science & Technology, Leadership & Civil Society, Social Enterprise & Philanthropy and Sports. 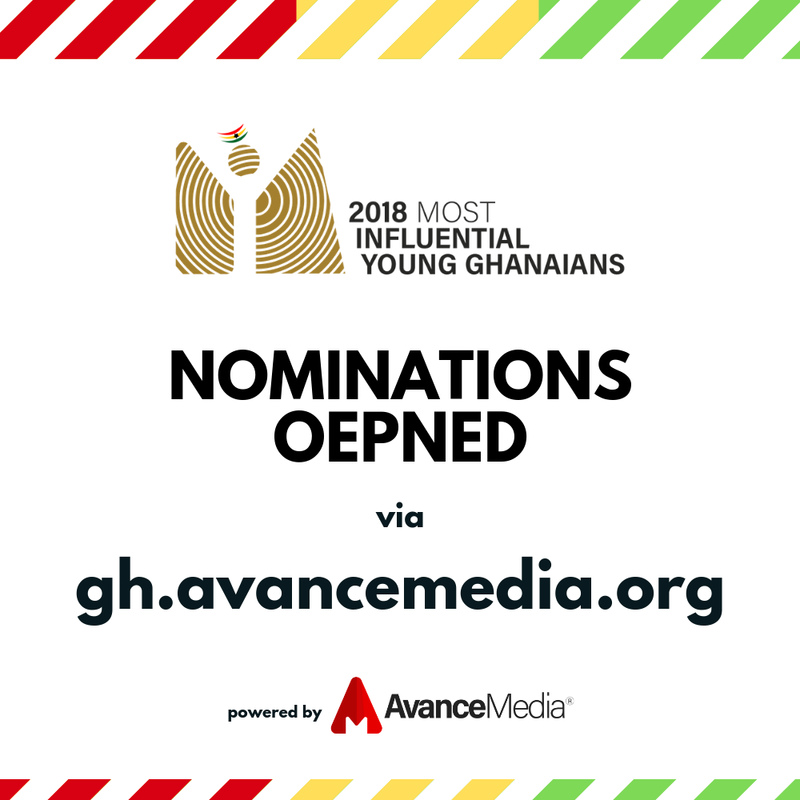 Speaking about the 2018 ranking, Managing Director of Avance Media, Prince Akpah noted, “Shortlisted finalists will be announced in December ahead of a public voting exercise which will determine the overall Most Influential Young Ghanaian and those who have made enormous impact in their categories”. Avance Media has also opened nominations in 6 other countries which it is runs the same prestigious ranking scheme namely: Nigeria, Tanzania, Congo, Cameroon, Kenya and South Africa. This year’s ranking is being held in partnership with the Goal.com, Made Marketing Africa, Idea Factory Africa, Abjel Communications, COSDEF Group, 1000 African Voices, My Naija Naira, Dream Ambassadors Foundation and WatsUp TV.